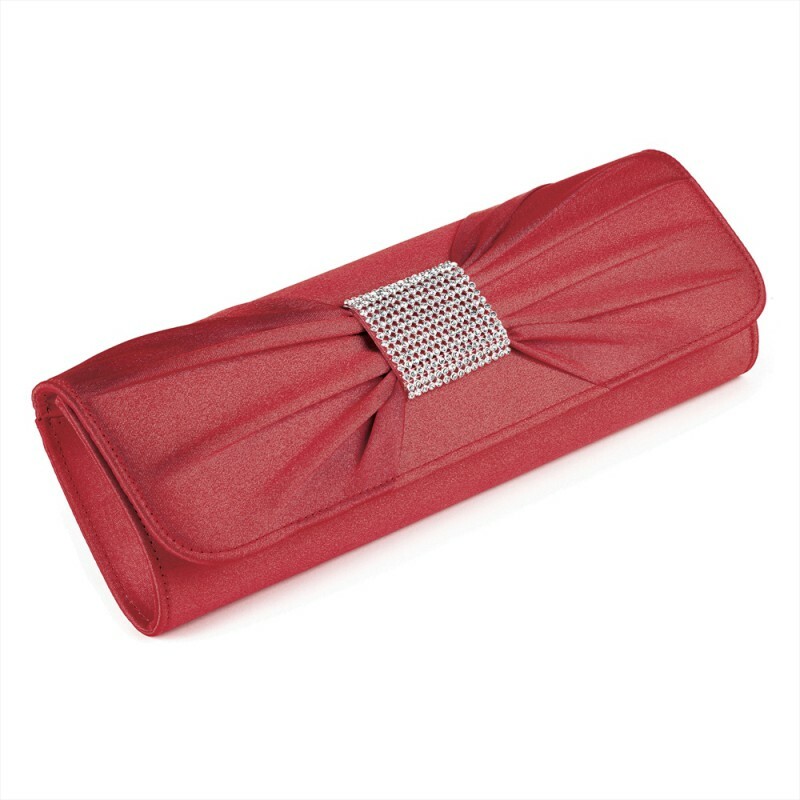 A red Clutch Bag with a pleated front and decorated with a sparkling diamante crystal rectangle motif. The bag has an internal pocket and a shoulder length detachable chain. Fitted with a strong magnetic closure. This design is also available in black and grey.